The Rural Development Society is a community-based organization which provides water supply, microfinance, libraries and schools to the villages of Shan State, Myanmar. 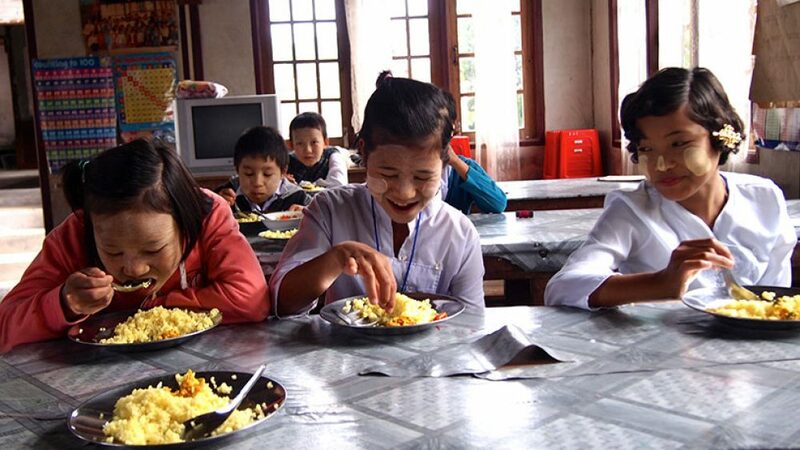 It has also built a children’s home in Kalaw for children from remote villages to attend state school. It was founded in 1992 by Tommy Aung Edzani, and is based in Kalaw. The RDS shop sells fabrics, clothing and handmade paper produced by local hill villagers. Profits go towards development projects in surrounding Shan and Pa-O villages. As well as the shop, the Rural Development Society can arrange treks in the surrounding hills that help to fund its activities and put something back into the communities around Kalaw. This small craft shop in hilly Kalaw sells textiles, clothing and handmade paper crafts to support disadvantaged ethnic minorities in this region. Proceeds are channeled into development projects in surrounding Shan and Pa-O villages. It is located on the west side of the lively local market and is open every day. Fair travel treks and mountain bike rides are also available with local guides from surrounding villages.